A former teacher and librarian, Mrs. Bush will focus on literacy and the importance of teaching during the 7 p.m. talk in Wright Center. As first lady of the U.S. from 2001 to 2009, she became a champion for key issues in the fields of education, health care and human rights. 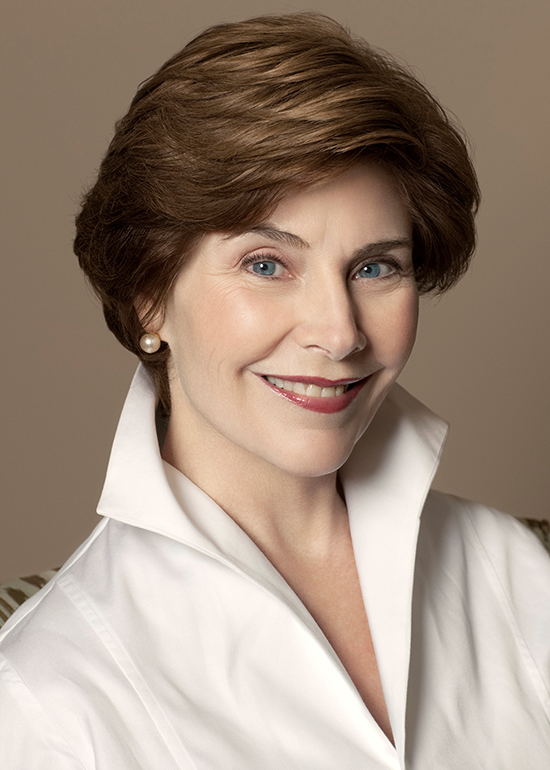 She founded the Texas Book Festival and the National Book Festival in Washington, D.C. Today, as chair of the Women’s Initiative at the George W. Bush Institute in Dallas, Texas, she continues her work on global healthcare innovations, empowering women in emerging democracies, education reform and supporting America’s military veterans. Tickets for the Samford event are $35 general admission, $75 reserved seat and $250 VIP admission. The VIP ticket includes a pre-lecture reception, special parking, reserved seating, a photo opportunity with the speaker and a signed copy of her book. Tickets will go on sale Sept. 24 at tickets.samford.edu or (205) 726-2853. The dinner will honor 100 outstanding Samford education alumni with the inaugural Learning for Life Award. The nominating process will begin in January 2015, and nominees may include graduates who pursued varied career paths.